This chapter provides you with a conceptual overview of flexfields. The chapter covers the following topics The general features of flexfields, Flexfields terminology , The benefits of flexfields and Descriptive Flexfields. Have “intelligent fields”—fields comprised of one or more segments, where each segment has both a value and a meaning. Rely upon your application to validate the values or the combination of values that you enter in intelligent fields. Have the structure of an intelligent field change depending on data in your application. Capture additional information if you so choose. Customize data fields to your meet your business needs without programming. Query intelligent fields for very specific information. Most organizations use ”codes” made up of meaningful segments to identify general ledger accounts, part numbers, and other business entities. Each segment of the code can represent a characteristic of the entity. For example, consider an account number for a bank. A complete bank number may consists of various segments like the country code, area code, city code, branch code, account type, account number etc. The number of segments a bank requires to identify an account number uniquely is a requirement specific to the bank. Another bank might not require a country code if its presence is there only in one country. Key flexfields are used to identify such information uniquely. A window pops-up when you navigate to the key flexfield as shown in figure 2 and it would require you to enter the various segments defined for the key flexfield. 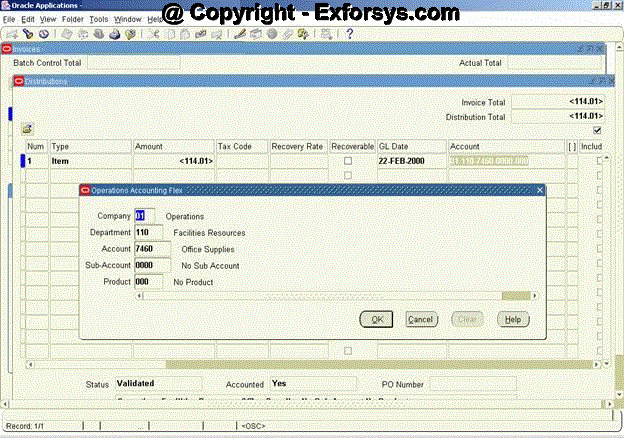 The Oracle Applications products provide many key flexfields as integral parts of the products. 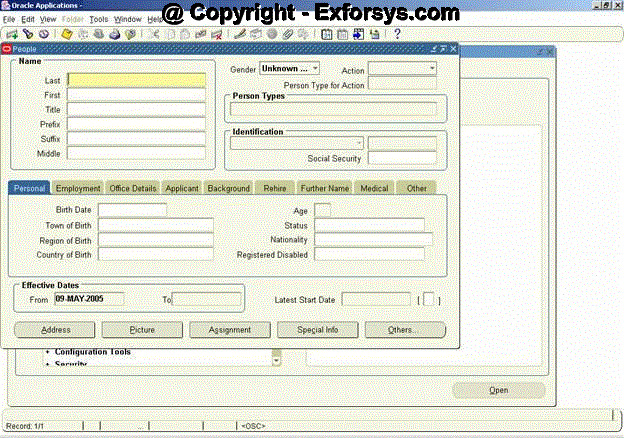 Descriptive flexfields provide customizable ”expansion space” on your forms. Though the fields on an Oracle Applications form are more than enough to capture all the possible information from the user perspective, but still the users can feel the need of capturing additional information. A descriptive flexfield gives you room to expand your forms for capturing such additional information. A descriptive flexfield appears on a form as a single–character, unnamed field enclosed in brackets ([ ]) as shown in figure 3 below. 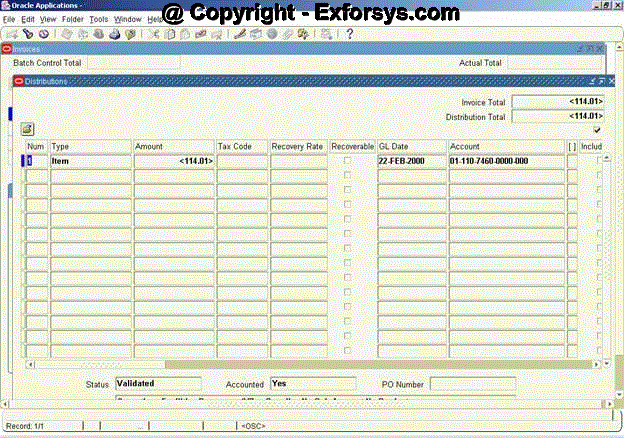 Oracle Applications has provided space for descriptive flexfields on almost all the forms. Just like in a key flexfield, a pop–up window appears when you move your cursor into a customized descriptive flexfield. And like a key flexfield, the pop–up window has as many fields as your organization needs. Each field or segment in a descriptive flexfield has a prompt (figure 4), just like ordinary fields, and can have a set of valid values. The pop-up as shown in the figure 4 comes up when you click on the [ ] icon on the form in the figure3 above. Further details about implementation and other features are provided in the implementation section later in the chapter.